…And still more Star Wars! 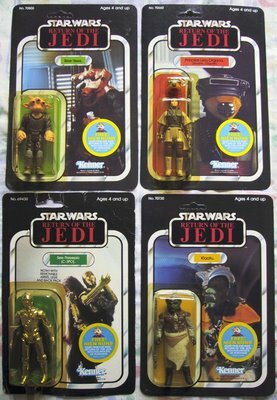 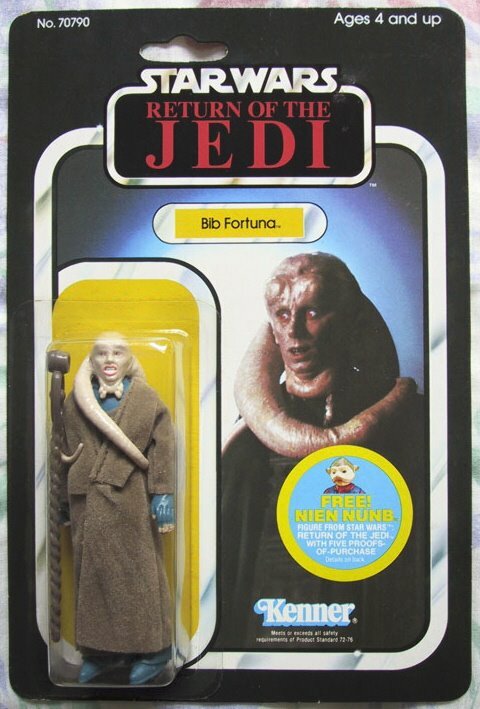 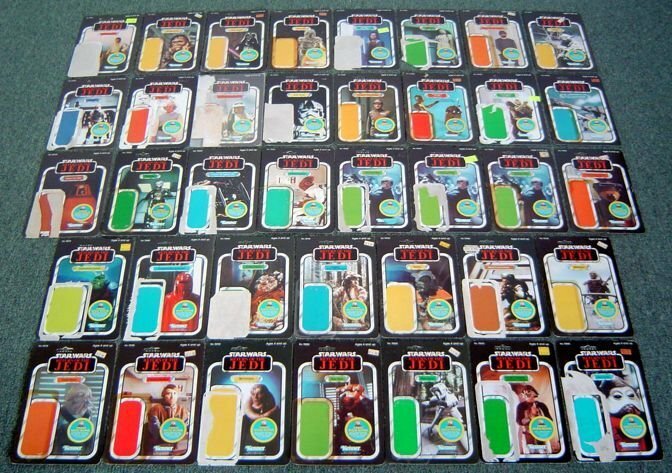 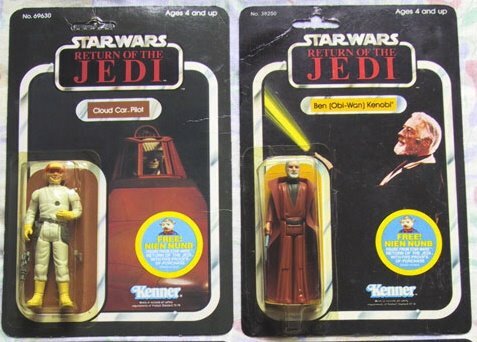 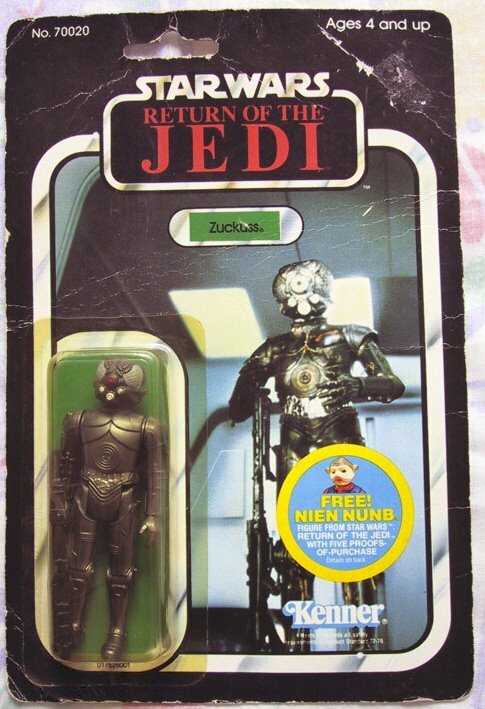 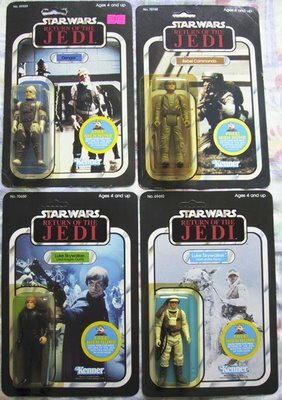 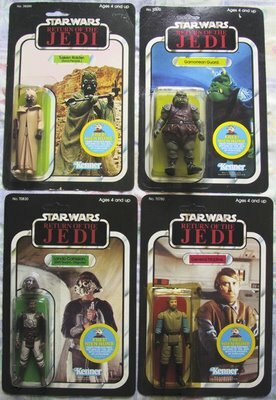 The difficulty and frustration in tracking down Toltoys logo 12 and 20 back carded figures in my opinion has led to an appreciation of the other Aussie issued cardbacks, primarily the Return of the Jedi 65 Back card with the “Nien Nunb” free figure offer. While the Toltoys link is more tenuous than on the earlier cards, these cardbacks are unique to Australia and included the mailing address of Toltoys for the competition. 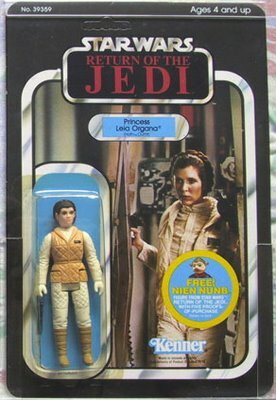 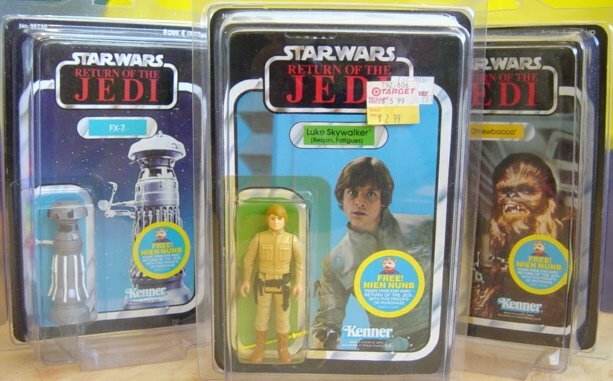 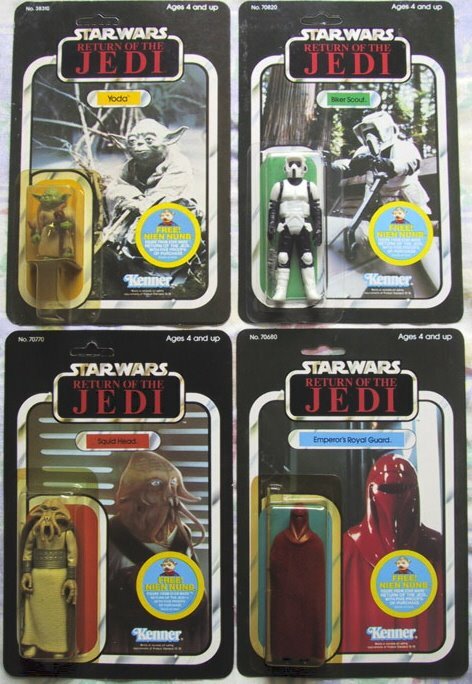 While still a real struggle to track down, they are probably one rung down the ladder from the Star Wars Toltoys cards in terms of rarity, instead of “impossible” to find they are just “near impossible”. 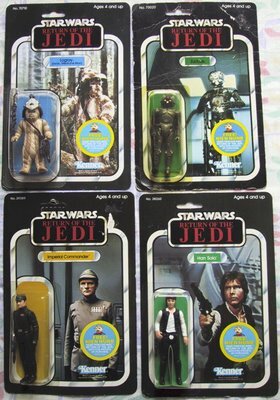 A handful of collectors both here and overseas have been chasing them for years, and even with years of active searching I don’t believe a full set of 65 examples has yet been achieved. 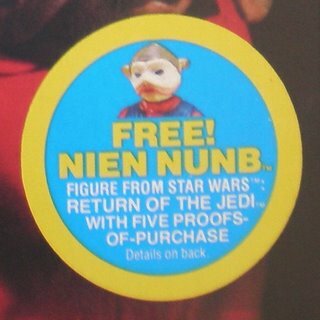 Indeed I don’t believe an example of each cardback has even been found! 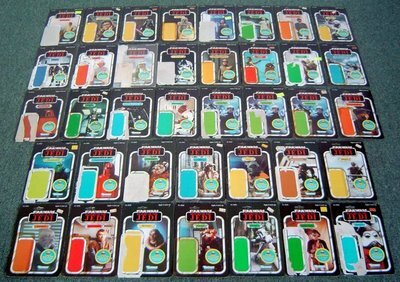 The set above is the most complete set of cardbacks as far as I’m aware. 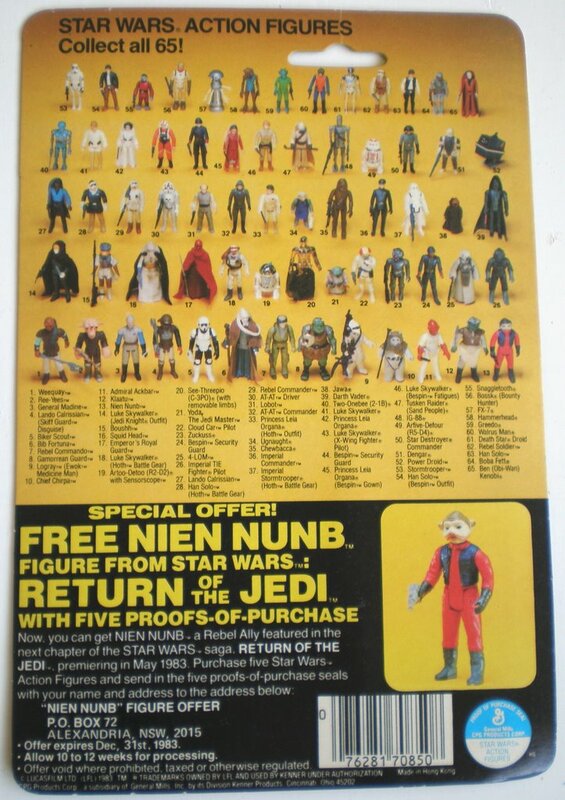 So what did you get if you took the effort to send in your POPs? 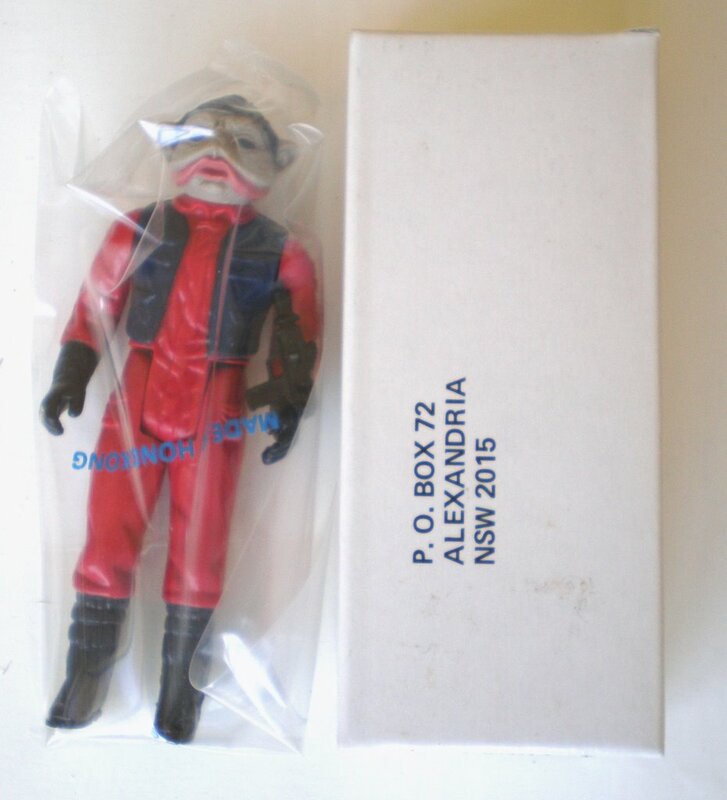 There he is above, the final result. 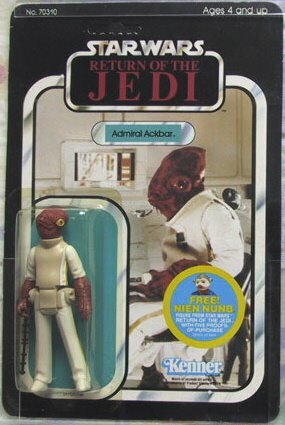 I still vividly recall heading to the mailbox and seeing that box (well not that exact box) with my name and address on it. 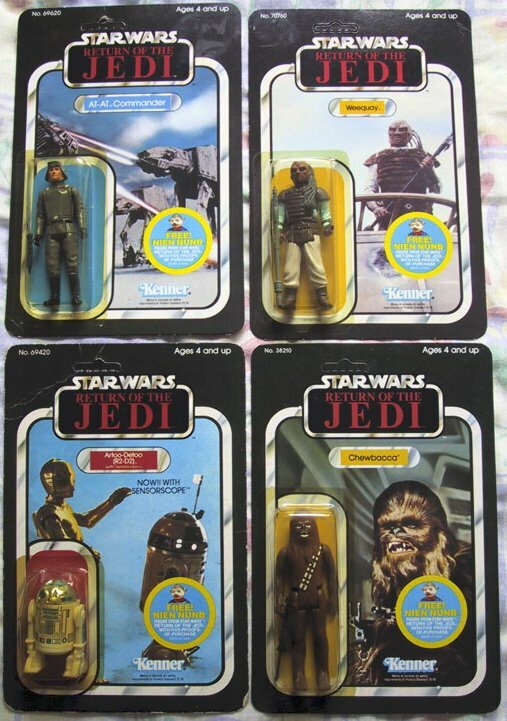 Toy memories are made of this! The actual offer artwork had a running production change, creating a subset of variations. 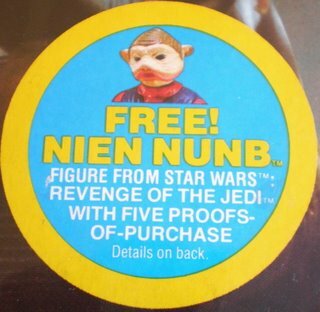 The first version featured text proclaiming Nunb as being from the “Revenge of the Jedi”. 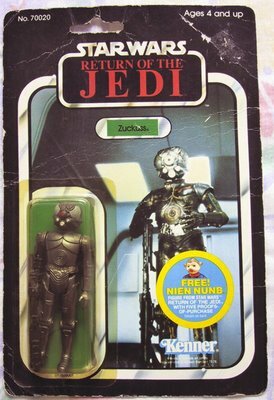 As with Star Wars items across the world this was changed to “Return” when Uncle George decided that Jedi’s don’t seek revenge. 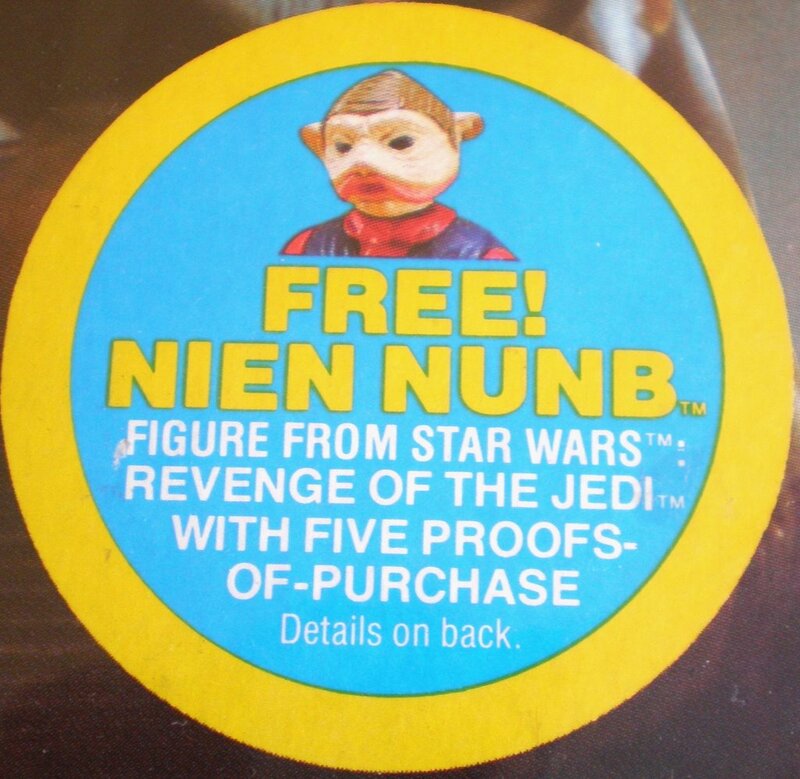 Toltoys applied a semi-circle sticker over the offending text as a quick fix (above) and then updated the text on the actual cardback (below). 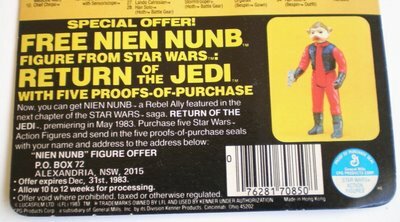 In the US the Nunb figure offer was available on 48 Back cards, but for some reason there was a delay in bringing the offer to Australia (and Canada) resulting in the highly amusing Nien Nunb with Nien Nunb offer card. 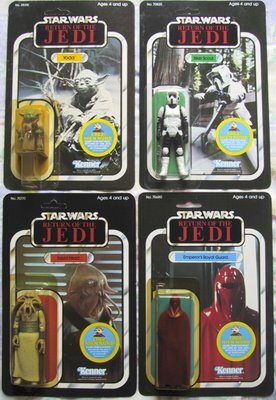 As yet a perfectly sealed example has not been found, but a few cardbacks have turned up as well as the almost MOC specimen above. 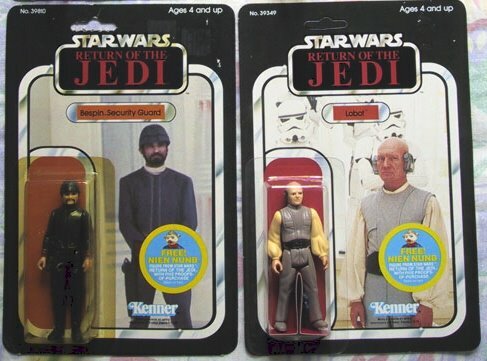 You’ve got to wonder what (if anything) they were thinking as they carded these guys up! 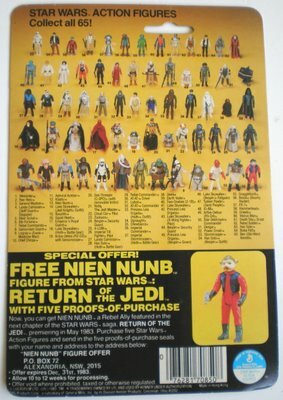 The Nunb offer 65 Backs offer a great collecting focus, some easy ones to get started, some harder to find ones to keep the interest going, and some ridiculously hard to find ones. 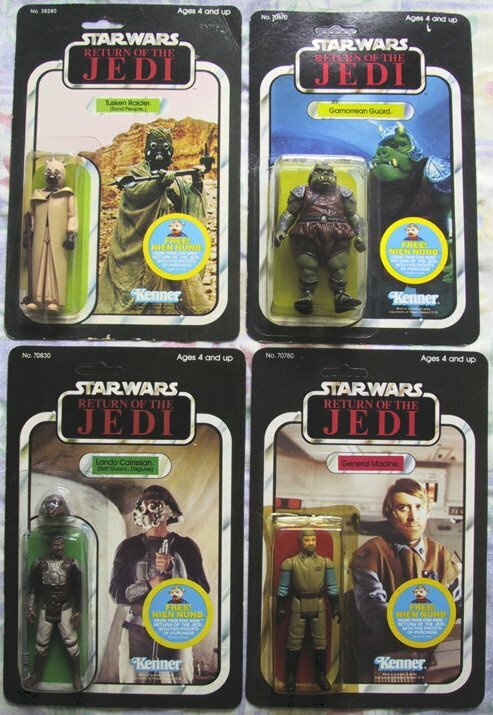 What more could a collector want? 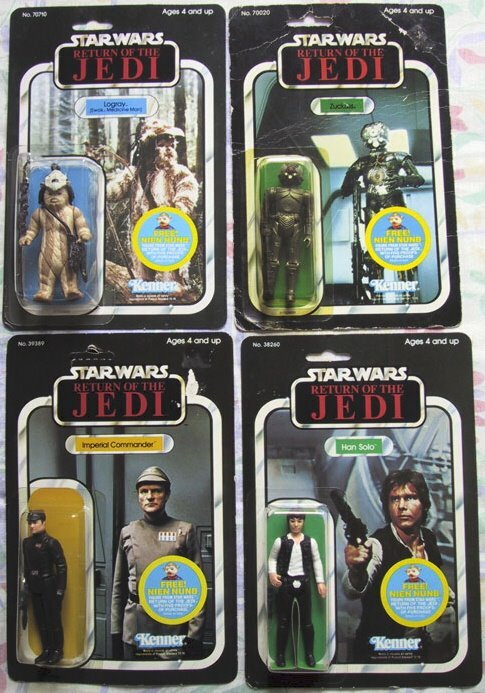 Generally speaking these figures are hard to find with clear undamaged blisters, and it’s probably also fair to say that the earlier release characters (such as the first 12) are more difficult to locate than the later waves. 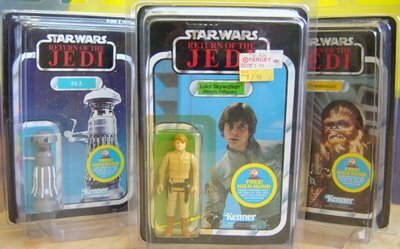 Thanks to Brody and Dax for many of today’s great pics, as far as I’m aware this is the largest group of this particular offer presented in one place, scroll down to check them out. If you have a MOC example we don’t or a cardback featuring a character not shown here I’d love to add it, you can email me will(at)toltoys(dot)com.